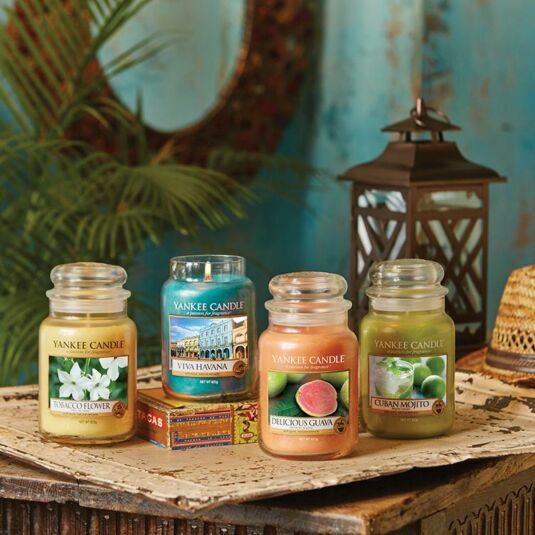 Bring the heat of a tropical summer into your home with this sensual range of fragrances from Yankee Candle, The Havana Collection. 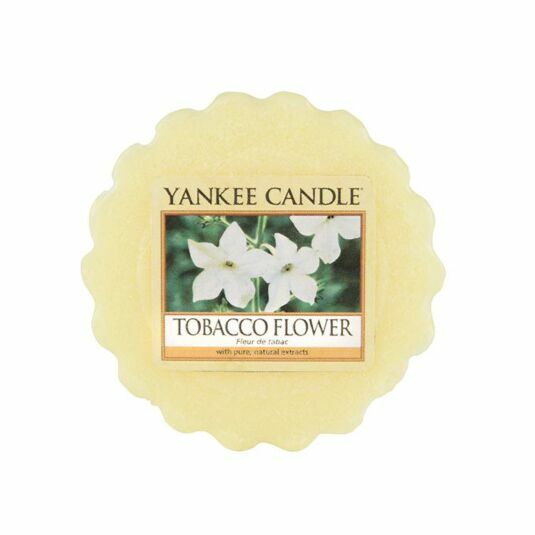 Tobacco Flower is a reviving floral scent inspired by the sweet white bloom of the tobacco flower. This mellow scent has a spicy top note of ginger root and star anise which beautifully intertwines with middle notes of Jasmine, Tobacco Flower and Bamboo Leaf. These organic scents are grounded by a base of cedar wood and tonka bean, all contained within a soft yellow wax tart. Discover the vibrant colours, delicious scents and sultry atmosphere of Havana! Viva Havana evokes the nostalgic atmosphere of the city, Delicious Guava is imbued with delicious, mouth-watering scents; Cuban Mojito is a refreshing mix of mint and lime while Tobacco Flower mingles indulgent spicy notes with the alluring fragrance of the pale bloomed Nicotiana, also known as the tobacco flower.